Open Systems Publishing, Moscow, has signed a licensing agreement to publish a Russian edition of the Oil & Gas Journal. Like the international edition, the Russian version will be aimed primarily at managers and engineers directly involved in various aspects of the oil & gas business ... including exploration, production, transportation, refining, petrochemical industry, as well as development and investment in the industry. PennWell hat mit dem Verlag Open Systems Publishing ... in dem u.a. auch russische Titel von Gruner & Jahr erscheinen ... eine Lizenzabkommen über die Herausgabe einer russischen Ausgabe des Oil & Gas Journal geschlossen. Die internationale Ausgabe des Oil & Gas Journal erscheint seit 1902 und erreicht heute über 108.000 zahlende Bezieher. Das Journal ist in der weltweiten Öl- und Gas-Industrie mit deutlichem Abstand die meistgelesene Zeitschrift. 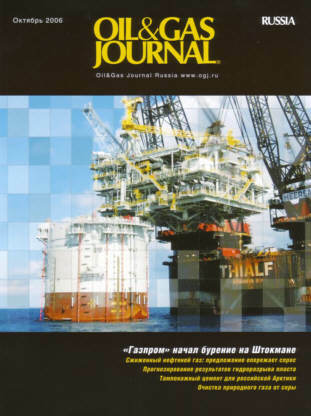 Oil & Gas Journal Russia wendet sich wie die Originalausgabe an Manager und Ingenieure in Exploration, Drilling, Production, Pipeline / Transport, in Raffinerien und in der Petrochemie. Editorial contact Eugene (Yevgeny) Khartukov is Chairman of the editorial board. Prof. Khartukov is a leading international expert on Russian and exSoviet oil and gas issues. He has authored and co-authored over 250 articles, brochures and books on petroleum and energy economics, politics, management, and Russian's Far East. Participating as a speaker an/or a session chairman in more than 165 international energy, oil and gas and economic fora.